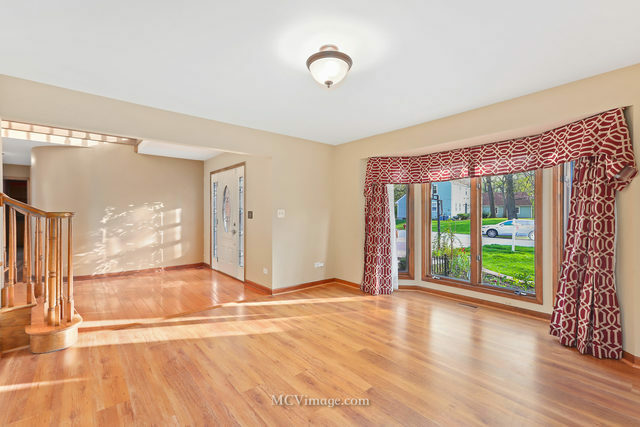 913 Doral Drive, Bartlett, IL.| MLS# 10341295 | Parade of Homes Bartlett IL, Homes for Sale in Bartlett and the greater Schaumburg area. Listing commissions as low as 1%. RELOCATED OWNERS BARELY SETTLED IN MAKING THIS GORGEOUS HOME THEIR LOSS & YOUR WIN! 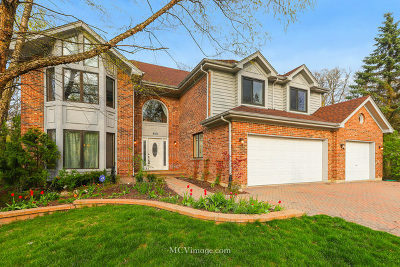 STUNNING WOODED LOCATION IN PRESTIGEOUS WOODS OF OAK HILLS. 2 STORY FOYER W/WINDING OPEN STAIRCASE STARTS YOUR ENTRY IN THIS BEAUTIFULLY KEPT HOME. 4 BEDRMS ON THE 2ND FLR DEN/OFFICE ON 1ST FLR W/FULL BATH. 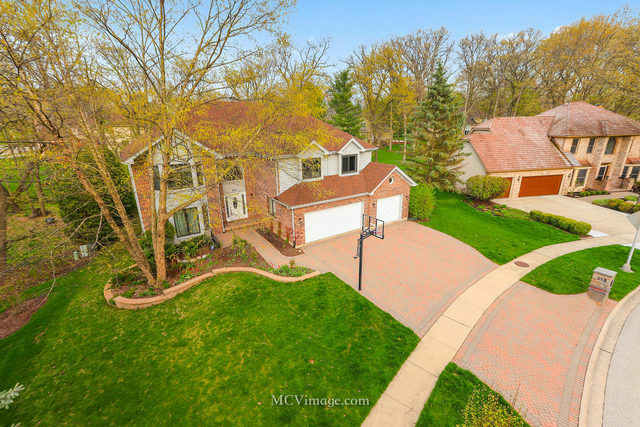 FINISHED ENGLISH BASEMENT WITH 5TH BEDROOM,FULL BATH,LARGE WET BAR FOR THAT MANCAVE & PLENTY OF ROOM IN THE RECREATION RM FOR A POOL TABLE OR GAMING AREA. 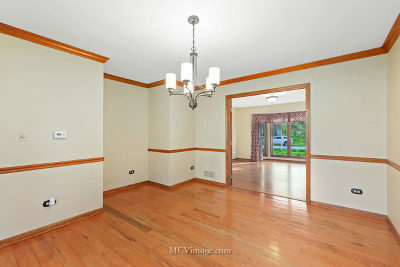 BEAUTIFUL MASTER BEDRM SUITE W/SITTING AREA & SLIDING DOORS TO YOUR PRIVATE BALCONY. 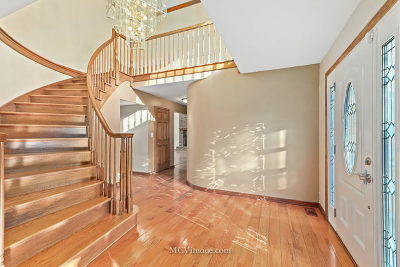 MASTER ALSO OFFERS A LUXURY BATHRM, A HUGE W/I CLOSET & IF YOU NEED MORE ROOM TAKE THE PULL DOWN STAIRS UP TO HUGE 10&apos; HIGH UNFINISHED ATTIC SPACE. ALL BEDRMS ARE MORE THAN GENEROUS IN SIZE. 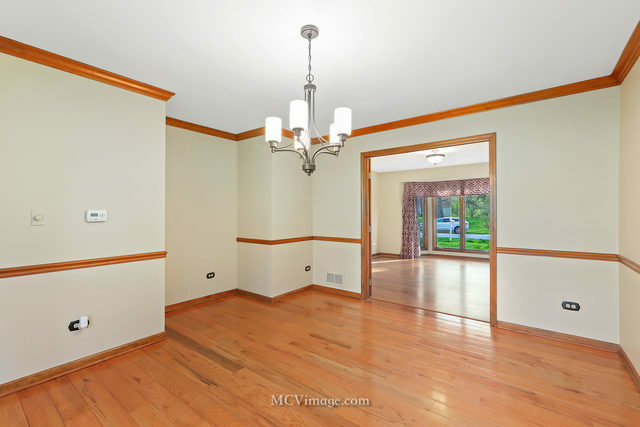 LARGE FAMILY RM W/VAULTED CEILINGS, SKYLIGHTS, FIREPLACE & LOOKS OUT OVER THE FABULOUS YARD. 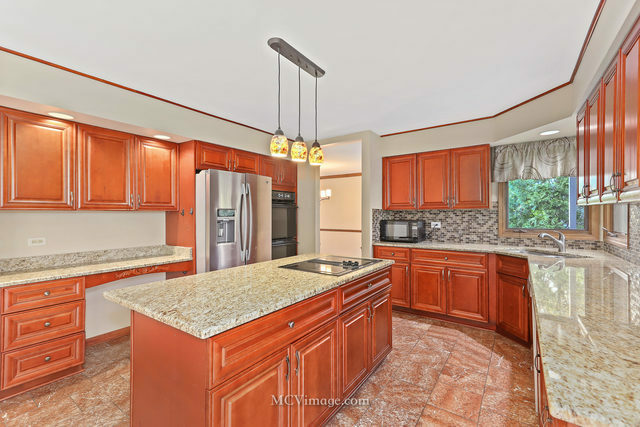 KITCHEN OFFERS GRANITE COUNTERTOPS, STAINLESS STEEL APPLIANCES & LARGE ISLAND! 30 YR ROOF IN 2010, FURNACE & AIR IN 2013, SUMP PUMP 2018. THIS IS WHERE YOU WANT TO LIVE!